In 1864 the great marble St. Patrick’s Cathedral was rising on Fifth Avenue and the mammoth granite Croton Reservoir, at 42nd Street, was a favorite site for a Sunday afternoon stroll. It would be a few years before the grand palaces of New York’s wealthiest citizens fully lined the avenue; but comfortable rowhouses had already begun filling the side streets. Such was the case with West 46th Street which was already almost fully developed. One of the last plots still empty that year was a 25-foot wide site which the developer, in an attempt to squeeze out more profits, divided into two 12-1/2 foot sites—Nos. 17 and 19. The architect maintained the proportions of a normal residence by designing two mirror-image houses that worked together visually as a single structure. Completed in 1865 they were designed in the up-to-date French Second Empire style recently imported from Paris. The houses, albeit narrow, were fashionably appropriate to the upscale neighborhood. It appears that No. 19 was a high-end boarding house from the beginning, based the several residents here at the same times. Throughout the 19th century the tenants were, at worst, upper-middle class. Among the boarders in the 1870s was Columbia-educated attorney Hugh R. Willson, who became Assistant United States District Attorney. Willson’s finances were such that he traveled to Mexico to investigate real estate there. Upon his return he supplied a New York Times reporter with a vivid description of the country and its natives. The slender house was home to a succession of physicians. Dr. George Shepard Southworth lived in the house for at least 15 years beginning around 1884. Southworth wrote extensively on infant digestion as well as different types of pain and their causes. The forward-thinking doctor sat on the board of the Indian Rights Association. At the same time Dr. J. T. O’Connor lived here. The Clinical Professor of Nervous Diseases at New York Homeopathic College he was a specialist in diseases of the nervous system and a pioneer in the use of medical electricity. O’Connor’s research on brain activities resulted in advanced understanding of the functions of the left and right hemispheres, and brain injuries. Perhaps the doctor’s most significant accomplishment, however, was a soluble powdered blood. The innovation meant that injured patients, far from a hospital, could receive blood until they could be transported. Louis Windmuller and his wife, Louise were here in November 1884 when they celebrated their silver wedding anniversary with a party. Windmuller was a partner in the importing and commission firm of Windmuller & Hoelker and treasurer of the Reform Club. 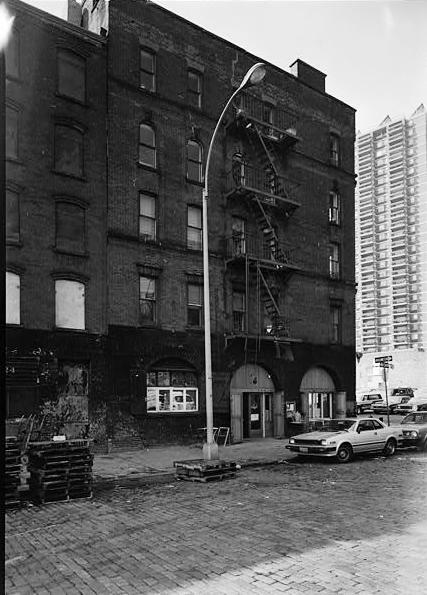 A descendant of the couple feels that the 46th Street building was a secondary home and the Windmullers lived primarily in Woodside, New York. However, the concept of a pied a terre in the 19th century was nearly unheard of. Windmuller himself referred to the Queens home as a Summer house. “In the Summer…I make my home at Woodside, Long Island,” he told a Times reporter in 1913. Whatever the case, Louis Windmuller was well off enough to maintain two homes. In September 1887 Dr. Albert Heman Ely was living here when he married Helen M. Cox in an understated ceremony at St. Agnes Church. Whether the marriage did not last or Helen Ely died is uncertain; but only three years later, on October 7, 1891, he married Maud L. Merchant in Rochester, New York. Ely was called by the “Encyclopedia of Biography of New York,” “one of the most prominent physicians of New York City.” Following their month-long honeymoon in the West, the couple received callers on West 46th Street. It was, no doubt, quite convenient for Drs. Ely and Southworth to live in the same building since they shared a practice for a short time. The Elys owned a country home in Southampton, Long Island. Another doctor, Mary L. Edwards moved in in 1899 and like the Southworths and Elys would stay for many years. Dr. Edwards had at least one live-in servant and divided her working time between the Hospital for Woman and the New York Medical College. Francis Rogers returned from a visit of Europe the same year that Mary Edwards moved in. 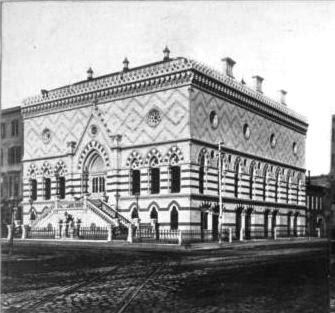 The Harvard newsletter noted that he “has settled for the winter in New York at 19 West 46th Street; letters addressed also to the Harvard Club will reach him.” Later the magazine would announce that Rogers had entered “into the musical profession.” One of his first professional concerts was staged at Boston Association Hall in December. By now the skinny building at No. 19 West 46th Street was owned by a corporation, McVickar & Co., and was no longer referred to as a boarding house, but as “apartments.” Yet the financial and social status of the residents continued to be upscale. The Elys cruised off to England on the SS Oceanic in 1901 and the niece of Cornelius Vanderbilt II, Mrs. George V. Root, was living here when she died at 81 years old in 1904. Mrs. Anna Grau was running the house in 1904. On February 26 Frank Holbrook knocked on the door and inquired about a room. After looking at the vacant rooms, he told Mrs. Grau that nothing suited him and he left. With him went Anna Grau’s $15 watch. Mrs. Grau rushed out of the house and followed Holbrook until he reached 44th Street and Madison Avenue where Policeman Rathler was standing. Anna Grau retrieved her watch and Frank Holbrook, “a man of good appearance,” according to The Sun, spent the night in jail. Things were about to change for little No. 19 West 46th Street, however. By now the block was radically changing. On June 25, 1914 The New York Times remarked “The Forty-sixth Street block, between Fifth and Sixth Avenues,…has witnessed a rapid transformation from private residences to business within the past two years.” The article went on to announce the sale of Nos. 15 and 17 to an investor who would erect a modern 10-story building. Within months, No. 17 was gone. Without its matching companion, the once-correct proportions were lost and No. 19 became an oddity; a quaint 19th century house squashed between two 20th century behemoths. By mid-century the block was a beehive of commercial activity. A bartending school operated out of No. 19, now the sole survivor of the row of houses on the block. Today a Turkish restaurant is at street level behind a starkly modern storefront. Above, the brownstone façade has been slathered in teal-colored paint. That the rather humiliated little house at No. 19 West 46th Street survives at all is amazing—the lone reminder of a time when the block was residential. In the early 18th century when city alderman Anthony Rutgers purchased the large section of land north of the city, much of which we now know as Tribeca, the area was mostly unusable marshland. Shortly after receiving a grant on the land in 1730 he began draining the swampy meadow. Leonard Lispenard purchased the land in 1746, incorporating it into the Lispenard Farm. It then became part of Lispenard’s tremendous holdings that stretched to the Hudson River, called Lispenard Meadows. As the city inched northward and streets were laid out, the Lispenard name became attached to some of them: Leonard’s children, Leonard and Anthony both gave their names to streets; and the small road running parallel to Canal Street to the south was given the name Lispenard Street. In the first quarter of the century Lispenard Street was lined with modest brick homes, most of which would last only a few decades. By the time of the Civil War commercial buildings were replacing them as Canal Street and Broadway became important business thoroughfares. As the century drew to a close, two small houses—each two stories tall—still held on at Nos. 60 and 62 Lispenard Street. They had been converted to serve as John H. Ireland’s Star Hotel—a somewhat seedy establishment with often-questionable goings on. On June 12, 1894 the New York Building & Improvement Company purchased the buildings and began plans for an impressive new office and loft building. 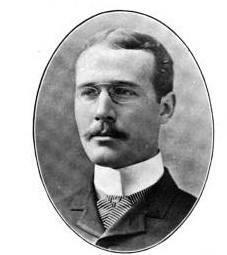 Gilbert A. Schellenger received the commission, although his was commonly thought of as a residential architect. In No. 60-62 Lispenard he would prove that he was up to the task of major commercial buildings as well. The architect produced a seven-story Italian Renaissance beauty. Rusticated stone piers at street level were separated by decorative and utilitarian cast iron store fronts. Above the stone second story, the building rises in buff-colored brick with elaborate carved stone panels delineating the fourth through sixth floors. The arched openings of the top two floors—four at the sixth balanced by eight at the seventh—complete the design that would be more expected on an avenue than a tiny side street. Construction was completed in 1895 and a variety of tenants filed in. Among them was the John W. Doubleday manufacturing firm. 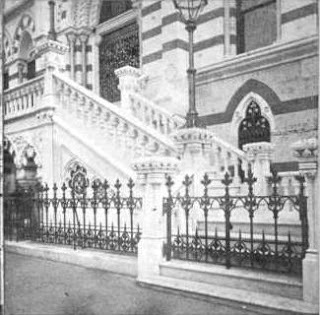 Working with him were his sons Charles Albert and John M.
The often repeated Tribeca legend is that former mayor and entrepreneur William Russell Grace ran his business from the building; but Grace had purchased the former Cotton Exchange building at 1 Hanover Square in 1885 and remained there until his death in 1904. Firms that certainly were here, however included the factory of C. H. S. Jaffray (who was fined in 1904 by building inspectors for neglecting to light the halls and stairways leading to the workrooms), and P. W. Lambert &amp, Co., that manufactured “fancy leather goods.” By 1906 the firm was so successful that it moved to the building next door, eventually taking over the entire building and leasing additional factory space again in No. 60-62. The Dominican Leather & Shoe Manufacturing Company was here along with Joseph Weinstein & Co. in the first decades of the century. As the age of the automobile arrived, several of the textile and apparel companies turned their attention to the new opportunities—like automobile covers and lap robes. Among them was the B. E. Mfg. Company which was here in 1913. Although the building continued to attract mainly apparel and textile firms, there were others as well, like the Boxner Medicine Company. In 1918 Boxner’s “medicinal preparations” were made for both domestic and foreign trade. The dignified building hiding on little Lispenard Street continued to be home to apparel manufacturers throughout the decades. Federal Sportswear, for instance, was here during the Depression years. But with the rediscovery of Tribeca at the turn of the new century, things changed in the Canal Street neighborhood. In July 2005 No. 60-62 Lispenard Street was converted to nine upscale condominium residences. Inexplicably called “The Wanamaker” (perhaps as a nod to the great department store that stood several blocks north on Broadway), its apartments retain the exposed 19th century cast iron columns and high ceilings. The huge spaces – running from 2,500 square feet to 3,700 square feet—were brought into the 21st century with fireplaces, central heating and air conditioning and recessed lighting. But the exterior of Gilbert Schellenger’s handsome and hidden Renaissance-inspired building remains nearly unchanged after nearly a century and a quarter of use. The Civil War made John N. Eitel a prosperous man. The government was desperate to keep a supply of recruits moving southward to fill the decimated ranks of the army and navy. A system of “recruitment brokers” was initiated whereby a private citizen, as a broker, would receive $300 for each recruit who was accepted for service. It was a handsome sum in the 1860s and the practice was a custom-fit for Eitel, who was a partner in the clothing firm John N. Eitel & Co. in the Fulton Street area. Eitel sold apparel to naval recruits, making between $8 and $9 profit on each recruit. Expanding the business to include the recruitment itself made sense. But it soon caused problems. Despite Eitel’s flawless reputation as a merchant and citizen, widespread corruption and fraud in the system put him under suspicion of the government. Unscrupulous brokers would sign up false recruits, receive the $300 bounty, then the recruit would run away overnight, sharing the profits with the broker. Between May 20 and October 9, 1864 1,284 recruits were enlisted by brokers. Of them only 813 showed up on Governor’s and Hart’s Islands for duty. The government was defrauded of $141,300 during that period alone—about $1.7 million today. War Department detective Colonel Lafayette C. Baker was positive that Eitel was defrauding the government and on February 18, 1865 military police arrested him, whisking him away to the Old Capitol prison in Washington DC. Neither his business partners nor his family was notified of his arrest. When the details of his disappearance came to light, the War Department was flooded with letters and pleas for his release. Not only did he have a faultless reputation in the community, his business was suffering from his absence and his wife had become ill from anxiety. He overruled the judge, writing on March 17, 1865 “Let this man be bailed, Mr. [Assistant Secretary of War Charles A.] Dana fix the amount." The amount was $10,000 and a Republican placeman, Abram Wakeman of New York, immediately sent off a check in that amount. Eitel continued in the clothing business and was partner in Lewis, Eitel & Co. at No. 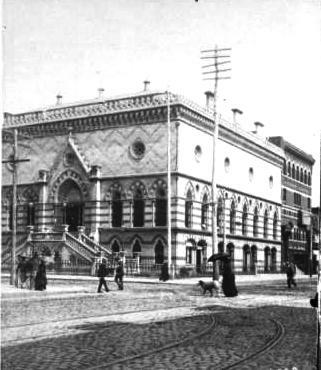 8 Fulton Street in 1879. By 1888 he owned the building at No. 251 Water Street where he ran his business. But that year he decided to raze the old structure and put up a store-and-tenement on the site. He hired architect Carl f. Eisenbach to design it. Despite the decidedly unfashionable area of docks, ships and rowdy sailors, Eisenbach produced a striking five-story amalgam of Romanesque Revival and Italianate styles in red brick with terra cotta trim. Sweeping, broad arches provided window and entrance openings for the retail space, entered at No. 22 Peck Slip. An elaborate terra cotta tympanum above the door to the residential space above, at No. 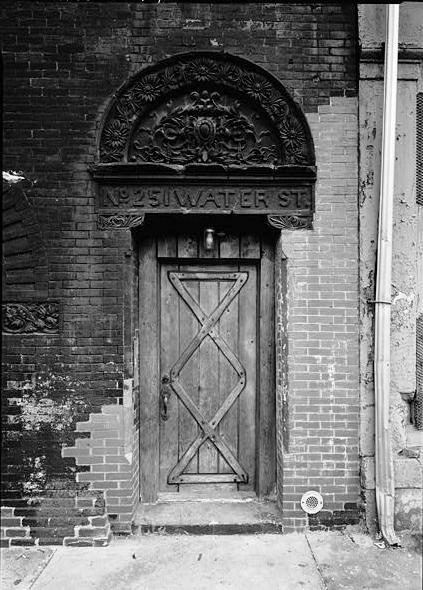 251 Water Street, carried on the arch motif. Delicate terra cotta bands ran along the second and fourth floors while somber terra cotta faces served as keystones to the fourth floor windows. Costing Eitel $12,000 to build, it was a handsome and, perhaps, unexpected addition to the neighborhood. The upper floors were rented to two families per floor. Eitel seems to have retired at this point because he did not re-establish his clothing business in the new building. Among the tenants in 1894 was 63-year old widower August Loeffler. A Civil War veteran, he lived here with his five children and earned his salary as a night watchman at the candy factory of Henry Heide at No. 179 Franklin Street. A year earlier a packer in the factory, Bavarian-born Charles Miller, had been fired due to an argument he had with the old man; although from time to time he was brought back when business demanded extra help. Miller was 25-years old and, according to The New York Times, “his habits were disreputable.” Once a year, at New Year’s, his family would send him $400 from Bavaria to help him make ends meet. On Tuesday, April 17, 1894 Charles Miller was doing work at the candy factory. Andrew Lindner, a lozenge maker, left him there when he quit for the night. August Loeffler never came home to his children the next morning. At 6:00 am, engineer Frederick Rebmann stumbled over the watchman’s body in the basement of the factory. The elderly man’s lantern was on the floor, broken, and a handkerchief had been placed over his face. The coroner noted that Loeffler’s skull was fractured in several places, and his jaw and ribs were broken, giving “every indication that the attack on him had been atrociously brutal,” said The Times. 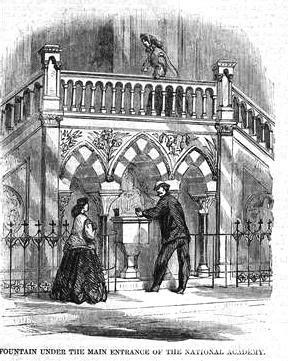 Investigation revealed that the watchman had caught Miller in the act of robbing the timekeeper’s desk and chased him to the basement. There the robber grabbed a double-headed hammer and murdered the old man. In 1897 Edward Weisberger purchased the building and, like Eitel, used it as rental income. Weisberger’s business, a liquor store, was located at No. 148 Delancey Street. He would retain possession of No. 251 Water Street until 1908. As the 20th century progressed, the area had become the epicenter of the fish trade. On May 13, Frank Maibach and Rueben Hafter purchased the building. The two were partners in the Level Fish Company, which ran the Eagle Fish Company out of the first floor space. In 1922 they commissioned Abraham Farber and contractor Louis Sessler to do minor stair alterations, costing $500; and six years later hired architect Charles M. Straub to convert the second story from apartments to a dental office. Legal problems for Maibach continued and a year later he was convicted and fined $31,000 for violating Sherman Anti-trust laws. The fine did not deter him, however, and in June 1933 Maibach and his brother Jack, who was vice president of the Eagle Fish Company, were charged with conspiracy to monopolize and restrain interstate trade in fresh-water fish. Included in the indictment were the American Federation of Labor, 24 corporations, 53 other individuals and three trade associations. Reuben Hafter died in 1937 and the Maibach family retained possession of the building at No. 251 Water Street until 1961 when it was sold to the Berbor Corporation. By now the aged structure had been sorely abused. The cornice had been stripped off and architectural thieves had made away with most of the terra cotta faces. But as the historic buildings of the Fulton Street area were rediscovered, they were one-by-one restored. No. 251 Water Street was converted to apartments in 1977—one per floor above the street level. Today a restaurant and bar are housed in the ground floor where racketeers sold wholesale seafood. Although the restoration has perhaps left the building a bit too manicured, it is a remarkable survivor. The exuberant ornamentation over the residential door is exceptional and, luckily, a few of the dour terra cotta faces above the fourth floor windows remain. Towards the end of the 1850s John ruskin's aesthetic theories influenced a group of young, idealistic New York artists and architects. 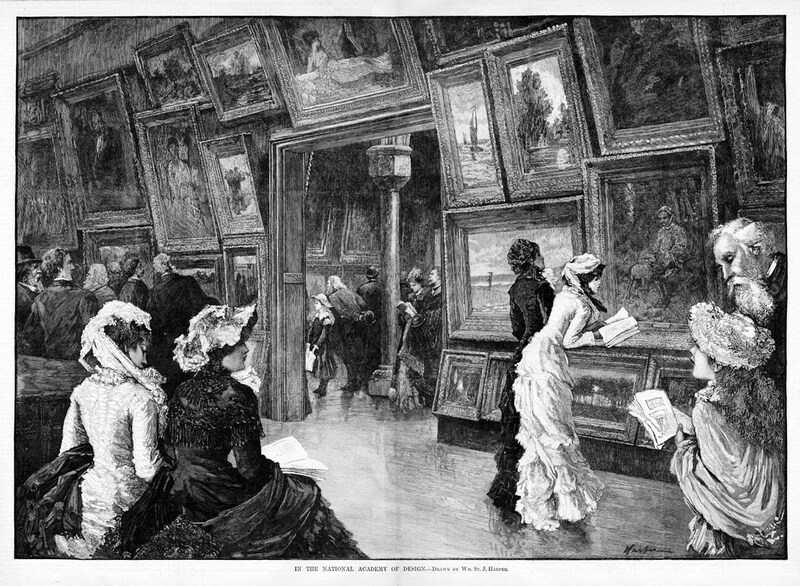 Dismayed at the lack of truly American art and architecture, the formed the Society for the Advancement of Trust in Art in January 1863. Among the group were architects Russell Sturgis, a friend of Ruskin; and Peter Bonnet Wight; artists Thomas Farrer and Charles Moore; and art critic Clarence Cook. The signing of the Emancipation Proclamation took place almost simultaneously and the group rallied against slavery saying it made truthful art impossible. They pushed the Pre-Raphaelite principals in art, scoffing at the French Romanticist works being hung in the parlors of America’s wealthy patrons. And they actively sought solid, home-grown architecture to be proud of. 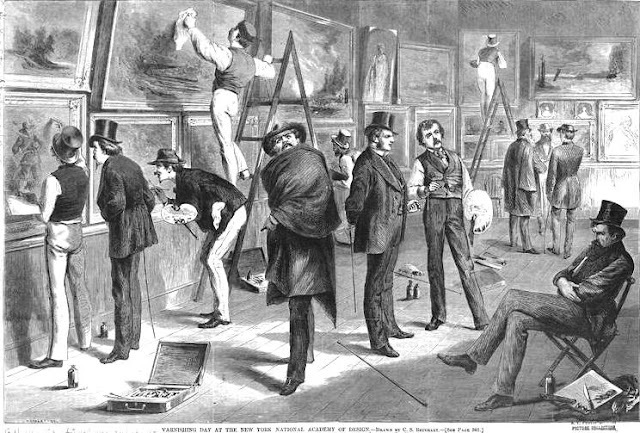 By 1863, no doubt through the incitement of the Society, New Yorkers laid plans for an academy for the training of American artists. The lofty concept was paid for entirely by public donations and it was Peter Wight who would receive the commission to design the new National Academy of Design at the corner of 4th Avenue and 23rd Street. And his admiration of Gould’s spectacular church three blocks to the south would be a evident. A “fine band of music graced the ceremonies with appropriate interludes” and the ceremony “called together a large concourse of the most refined classes of our people,” said The Times. Along with the usual documents and coins placed Inside the copper casket within the cornerstone was a letter from Abraham Lincoln. Unlike the construction of St. Patrick’s Cathedral which came to a halt due to the Civil War, the building of the Academy went on—despite most of the city’s workforce having marched off to battle. Wight intended for his Academy building to make a point. His building would prove that American architecture could be imaginative and beautiful—a work of art in itself. The Gothic theme continued inside and the ornately-carved capitals of the marble columns caused problems for the stone carvers. Each of the eight columns with its individual white marble capital of carved flowers, was presented by a different member of the Academy. Wight relied on natural woods for colors inside. The interior was finished in white pine, ash, mahogany, oak and black walnut—there was no interior paint anywhere throughout the building. Nevertheless, the completed building was a staggering success. The dedication was postponed due to the assassination of President Abraham Lincoln. It was opened twelve days later on Thursday evening, April 27, 1865. Along with instruction, the National Academy of Design presented exhibitions of the works of its members and students. 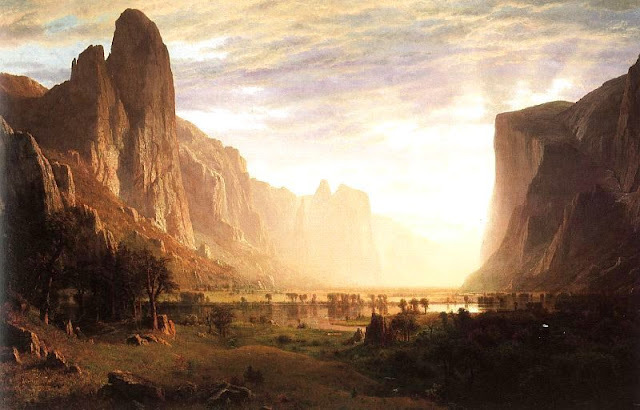 American art was suddenly becoming acceptable and collectors need not be ashamed if a work was not European. Generations of later art students would take issue with the verdict. Within a year of the article, the National Academy announced its intentions to build new facilities far north on “a site of sixteen city lots on Cathedral Parkway Drive,” as reported in The New York Times. As the Academy prepared to build its new structure, the Metropolitan Life Insurance Company “paid a large sum” for the property on 4th Avenue, according the New York Tribune. 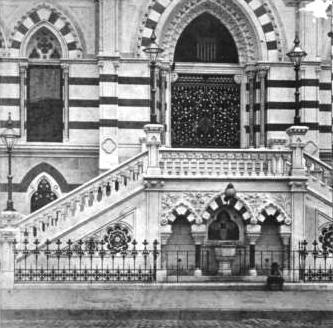 On August 11, 1901 plans were announced for the demolishing the marble National Academy of Design. The unique interior columns their individual capitals and bases, were salvaged to be incorporated into the new building uptown. And so the letter from Abraham Lincoln inside was saved from the wrecking ball along with the eight marble interior columns. 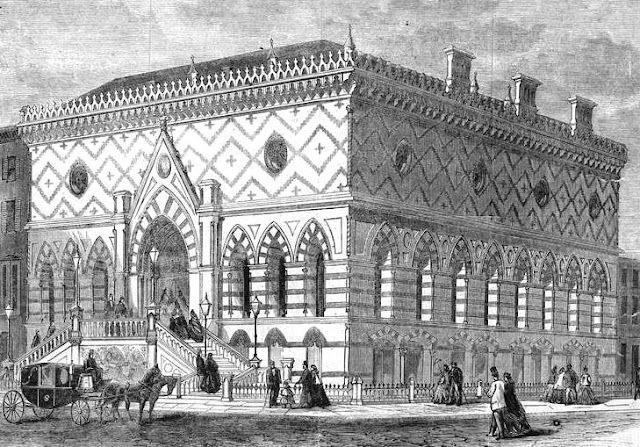 The rest of the exotic Venetian Gothic National Academy of Design--arguably the birthplace of American art--was smashed to the pavement, replaced by a utilitarian office building. At the turn of the 20th century, the main shopping district in Manhattan stretched from 14th Street to 23rd Street along 6th Avenue and along Broadway—the area known as The Ladies’ Mile. Rowland Hussey Macy ran his successful department store on 14th Street, just below 6th Avenue where palatial emporiums filled entire blocks. But in 1902 Macy took a brave gamble. He leap-frogged the district and built the largest store of them all ten blocks north at 34th Street. Near the mansions of Fifth Avenue, the new Macy’s was set so far apart from the other dry goods stores that a steam-powered omnibus was provided to shuttle shoppers back and forth. 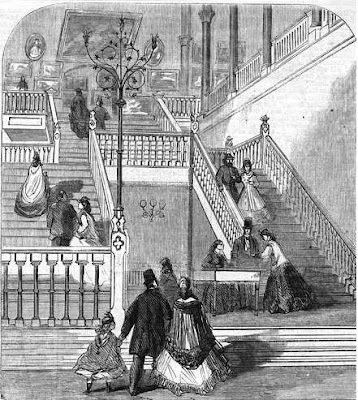 The move was a success and before long the other grand department stores would one-by-one abandon The Ladies’ Mile to follow Macy’s. It was around this time that Roland Macy’s cousins, Josiah and Charles Webster, moved to New York to become partners in the firm. Before long the Webster brothers took note of a disturbing situation. Until the late 1800s the roles of women in the United States were uncomplicated: most were house wives whose duties were simply to run the household and bear children; some were nurses or teachers (although most teachers in the 19th century were still male); and others earned a living as domestic help. But with the technological advancements after the Civil War, opportunities for women exploded. Suddenly there was office work in the big cities along with other respectable positions—like the many clerks needed to service the shoppers at R. H. Macy’s. In 1923, the soaring building was attention-grabbing. Unmarried women flocked to New York to take advantage of the new opportunities; yet their meager incomes made finding reputable and affordable housing difficult. The now-wealthy brothers intended to do something about it. It would take a while before the venture was up and running. Land was procured at No. 419 West 34th Street, a few blocks to the west of Macy’s. In 1922, as construction of the massive red brick hotel with limestone trim was nearing completion, the City of New York sued the corporation regarding its designation as a “charitable organization” and therefore tax-exempt. Flemish-bond brickwork and deeply-carved limestone trim implied respectability. The Webster opened on November 15, 1923 with Josiah Webster as president. Retail clerks, secretaries, school teachers and millinery workers moved in. For $8.50 a week they received two meals a day in addition to a room on a lower floor. For $12.00 they were entitled to a room on the upper floors where sunshine and air circulation were better. In addition the Webster provided sewing machines, an infirmary, a roof garden, and a library with books “selected by a trained librarian,” according to The Times. Josiah W. Webster died in 1942, leaving the bulk of this $2 million estate to The Webster. Four decades later it is still true. 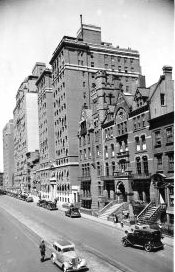 The Webster remains an affordable residence hotel, as the Webster brothers envisioned, for thousands of women studying or working in New York. Most “guests” stay at The Webster for about three months. What would seem to be an anachronism in the 21st century is not. The Webster continues the work of Charles and Josiah Webster – providing “homes and wholesome food” to hundreds of young women at an affordable price. Many thanks to Elissa Desani for requesting this post. Non-credited photographs taken by the author. In 1904 Edward E. White and his son, Frank H. White, came to New York from St. Louis where they had learned the restaurant business. The native Ohioans had set their sights on making it big in New York City. Four years later their plans were set. It would not be just a restaurant, however. 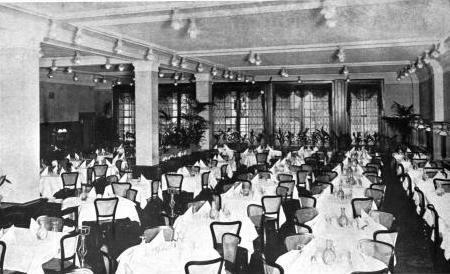 The Whites envisioned a high-class eating establishment on a par with the nearby Delmonico’s. They hired architects Clinton & Russell to design a building with character and charm that would attract notice. On May 8, 1909 The Sun reported on the filing of the plans “of modified old English design” at a projected cost of $50,000. In 1909, with modern skyscrapers rising skyward all around, the short, quaint cottage would, indeed, be eye-catching. The owners modified their name with a “Y” to be more in keeping with the old English theme. Looking more, perhaps, like a Swiss chalet than a Shakespearean cottage, the façade was half-timbered with colorful paintings within the stucco panels. The many-paned windows were deceptively expansive and a charming planted window box stretched along the second floor. Inside, the main floor featured the gentlemen’s dining room with the long oak bar and its well-shined brass spittoons. The Times would later recall that “Whyte’s strove to retain an Old-World aura, with its dark paneling [and] gilt-framed portraits. 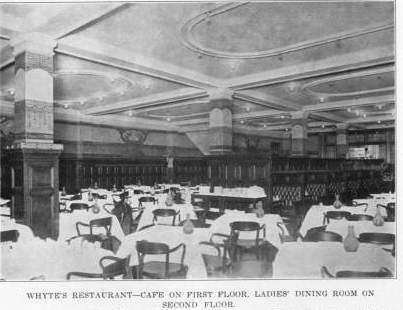 Also on the ground floor were the rathskeller and a cafe. The ladies’ dining room was upstairs, as was the kitchen. The top floor was given over to the bakery and storerooms. Nonetheless, diners of both sexes raved about the American fare offered by Whyte’s. Eating at Whyte’s was more expensive than most other restaurants—except Delmonico’s—but it was worth it. The menu of seafood, steaks and freshly baked pies was famous throughout the city. It became a favorite watering hole for executives and a luncheon meeting place for politicians, businessmen and stock brokers. Throughout the 1910s the New York 7th Infantry Regiment met every Tuesday in the summer months and it was a favorite venue for honorary dinners and celebrations. 1918 was not a pleasant year for Whyte’s restaurant. With the war raging in Europe and rationing in effect, the Federal Food Board instigated a ban on wheat flour. Restaurants were required to use a wheat substitute known popularly as “Victory Mixed Flour.” Whyte’s didn’t. On June 6 the restaurant was found in contempt of the ban when it was found using wheat flour in its Vienna and French rolls. A violation notice was posted on the restaurant. When investigators returned they found that Whyte’s continued to use the banned flour. The New York State Food Commission ordered the bakery portion of the restaurant to be closed for three days and gave an ultimatum: close the restaurant for seven days or pay a fine of $1500, payable to the American Red Cross. Frank White blamed the violation on “an Austrian baker” whom he had subsequently fired. The baker contended he had never been instructed to use the substitutes. On June 10 Frank White made out a check to the American Red Cross for $1,500 to keep his business open. That same year Edward White died. The ownership of the restaurant went to his widow, Mary, and her four sons, including Frank. The restaurant had another turbulent year in 1920. It started in February when J. J. Mullan walked into Whyte’s for lunch. Passing the hat check boy, he was escorted to a table and one of the “captains” helped him remove his overcoat and hat. The waiter then hung them on a hook nearby. When Mullan was finished with his meal, he asked the waiter for his hat and coat. Only the hat was still hanging on the hook. The enraged diner insisted the restaurant was to blame. The restaurant insisted that it was not. The issue ended up in court. The judge added that coat checks were there for a purpose; one which Mr. Mullan chose not to use. Later that year Frank White had his fill of his union wait staff. In addition to their average wage of $50 a week, the waiters were given three free meals per day. And yet on August 17 they threatened to strike. So Frank White fired them all. The mammoth Waldorf-Astoria Hotel on Fifth Avenue was slated for destruction in May, to be replaced by the Empire State Building. A group of its employees banded together to buy the Fulton Street restaurant. 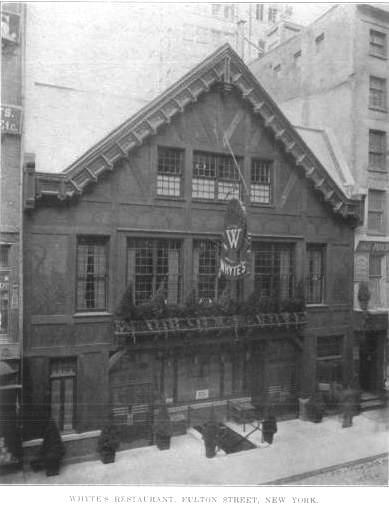 The Times said that Whyte’s, “for many years the dining place of businessmen and city officials of downtown New York, is not to pass out of existence, as recently reported, but will be continued under the name of Woolley’s.” The three top managers would be Sherman E. Woolley, the steward and purchasing agent of the Waldorf; George Lucas, the Waldorf’s assistant manager; and head waiter Theodore Meyer of the Waldorf’s men’s café. Despite the vast experience of the managers, the venture failed. On August 17 that same year Woolley’s sold its lease. Before long, Whyte’s Restaurant was back on Fulton Street. 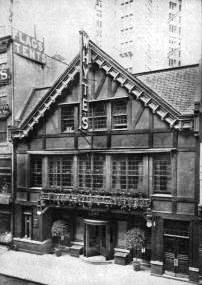 Unbelievably, however, in April 1971 Whyte’s was out-bid for its space and was unable to renew the lease. “We were outbid so fantastically we just didn’t have a chance,” manager George Macris told reporters. After 66 years in business the quaint chalet that offered superb food to Wall Street moguls, politicians and regular Joes, was forced to shut its doors. A few of the 150 employees had been with the restaurant for 38 years. “Some of them cried like babies,” said Macris. The most regular of customers received a letter or telephone call notifying them of the closure. Others found a note on the door explaining that a chapter in New York social history had ended. Clinton & Russell’s charming three-story building was not demolished for a high-rise office building. Instead the street level was obliterated and today accommodates a discount electronics store and a fast food fried chicken outlet. The wonderful multi-paned casements were replaced by plate glass sheets and the interiors were gutted for a women’s health spa. A coat of industrial-colored yellow paint covered the picturesque exterior panels and half-timbering. All of this makes the case for saying that, if the building was not demolished, it was quite certainly destroyed. 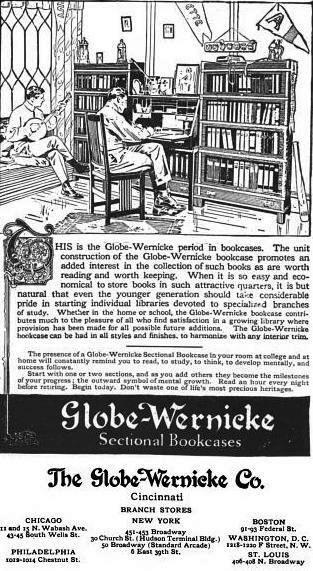 In 1916 the Cincinnati-based firm of Globe-Wernicke was among the foremost furniture makers in the country. Much of the credit for the company’s success could be directly attributed to the novel and immensely popular “elastic bookcase.” An outgrowth of Globe-Wernicke’s office furniture, the bookcase was modular—a novel design that allowed the purchaser to add or remove sections depending on need. The cases, many of them built of golden oak in the Mission style, appeared in offices, homes and apartments across the country. That year the company purchased the five-story building at Nos. 451-453 Broadway which had been home to Loeb & Schoenfeld, embroidery importers, for years. Globe-Wernicke announced it would spend approximately $75,000 to renovate the property for use as a central distribution point to be solely used by the firm. “It will contain the most extensive line of furniture equipment ever shown in America,” promised The American Stationer. 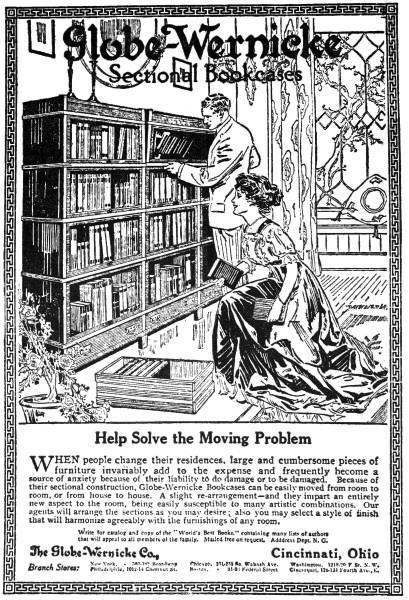 A 1921 advertisement shows a college man studying at a modular desk/bookcase. His roommate strums a ukelele either as entertainment or simply to be annoying. Globe-Wernicke commissioned architects Starrett & Van Vleck to renovate the old building. And renovate they did. The architects brought the Victorian building into the Edwardian Age. A soaring first floor showroom, nearly double-height, joined the second floor display rooms as a single expanse of glass and cast iron framed in terra cotta. A polite line of egg-and-dart molding supported a Greek key freize that separated the upper office floors from the showrooms below. The entire façade was blanketed in flat, white terra cotta tiles. At the top-most floor, each of the three sets of paired, arched windows had a centered, semi-engaged Doric column. A bas-relief terra cotta globe logo decorated the hefty parapet and a round plaque with G-W along with a broad terra cotta ribbon embellished the fourth floor. Perhaps to the annoyance of manager Woodward, as the building was being completed Charles S. Nathan opened its office furniture store directly across the street at 450-452 Broadway. This Gibson Girl-looking housewife is overjoyed with her new sectional bookcases. According to Rand, the merger would make Rand Karcex Bureau, Inc. “the largest distributor of business equipment in the world, both in sales volume and the number employed.” Annual sales volume of the concern was expected to exceed $40 million. Although the conglomerate assured that the headquarters would be in the Graybar Building as well as “three entire buildings at 451 Broadway, 374 Broadway and 126 Centre Street,” the gleaming white terra cotta building would not display sectional bookcases and desks for much longer. For the rest of the century the antiseptic-looking terra cotta building would be used by a variety of tenants. Then in 2007 the large plate glass windows that once displayed Mission oak bookcases were showing furniture again. CB2, the Chicago-based store that retails updated furniture, lighting and accessories, moved into the 14,000 square foot space. Today the clean lines of Starrett & Van Vleck’s 1916 design are essentially intact – a timeless re-do of a Victorian loft building that still works today.